DEI Boom Mat Undercarpet UNIVERSAL - Pann Auto Performance - San Diego largest aftermarket automotive performance parts - What do you drive? Boom Mat Undercarpet (UC) is a second layer sound deadening and insulation mat that will help you maintain a quality ride experience by preventing unwanted noise from being transferred into the vehicle’s interior. In addition to its sound deadening properties, this two layer acoustic material provides superior insulation keeping vehicles cool in the heat of summer, and warmer in cold temperature climates. 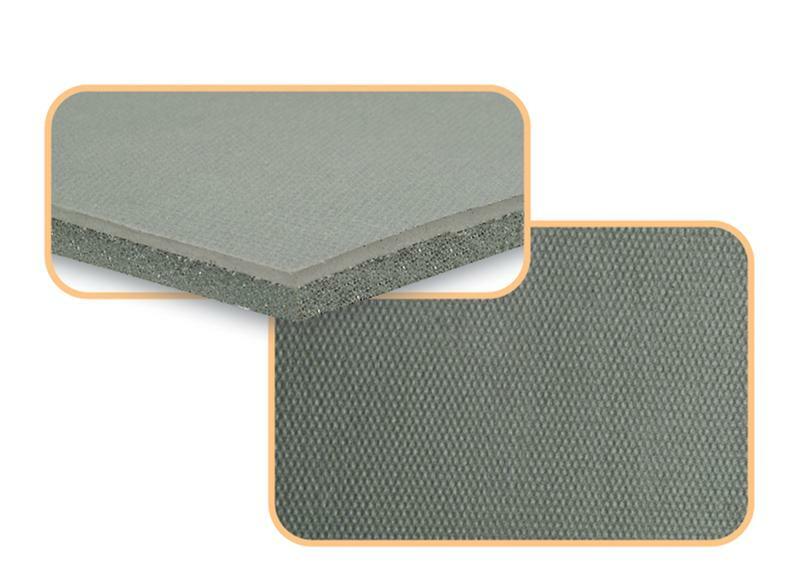 UC’s flexible top layer is a one pound per square foot mass loaded barrier material, while the second layer is a high quality industrial acoustical grade foam. These combined materials offer the most ideal way to maintain a “new vehicle” driving experience by eliminating squeaks, rattles, vibrations and unwanted engine, tire and road noise as well as heat. UC can be added under carpet, on fire walls, or anywhere in the interior of a vehicle where additional sound deadening or insulation is needed. For the ultimate experience in a quiet ride and improved interior comfort, Boom Mat recommends using UC over Boom Mat vibration dampening material. UC can be mechanically fastened or tacked in place with Boom Mat Hi-Temp Spray Adhesive including vertical and overhead surfaces. UC is 3/8” thick and available in three sizes: 24” X 54” (9 sq. ft.), 48” X 54” (18 sq. ft.), and a Bulk 1’ X 54” W.
NOTE: To customers ordering in BULK, Please note the number in the QUANTITY BOX in your shopping cart is the bulk length of your order in FEET. For example, by default, quantity is “1”. This would make your bulk order 1 ft x 54 in. wide. Changing the product quantity in your shopping cart to “20” would make your order 20 ft x 54 in. wide.